The utilization of specific sounds to affect human health and human bio-energy (Qi) systems has been a part of the theory and practice of traditional Chinese medicine for over 3,000 years. According to theories of healing sounds practice, certain sounds (vibrations) correspond to specific organs, glands, and energy channels of the body and mind. Throughout Chinese history, renowned healers have applied the five musical tones associated with the Five Elements and their associated five internal organs to treat illness and maintain good health. The theory of the Five Elements describes the arrangement of all aspects of the phenomenological world into the categories (elements) of Metal, Water, Wood, Fire, and Earth. This system of correspondences is fundamental to traditional Chinese medical thought and practice. Leading members of the neuroscience community have recently discovered that intentionally created sounds have specific beneficial effects in the brain and the body. This merging of ancient wisdom and contemporary science is the basis for this musical composition. Its purpose is to not only provide a delightful musical experience but also to enhance health, facilitate the smooth flow of bio-energy through body and mind, relieve stress, and contribute to a general sense of well-being and relaxation. World-renowned, award-winning composer Yuval Ron has utilized the ancient Chinese tonal assignments of the Triple Warmer in the creation of this beautiful composition. In addition, this composition is informed by the most currently accepted theories in neuroscience on the effects of sound vibrations on the brain and consciousness. This music also incorporates musical therapy research and practice relating to the impact of musical modes on the brain and the sense of well-being. Included in this 45-minute long track are two vital additional healing elements. 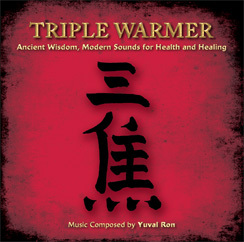 You will hear Dr. Richard Gold chanting the specific healing sounds for the Triple Warmer. These healing sounds come from the ancient Chinese Qi Gong practice and are designed to facilitate the healthy vibrations and energy flows of the internal organ associated with Triple Warmer. 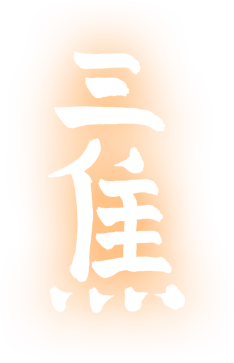 In addition, affirmations derived from Chinese med- ical theory relating to the Triple Warmer are also embedded into this track. These affirmations are not heard by the conscious mind, but are “heard” by the brain (sub-conscious mind) of the listener.